> A teacher can see you from all angles, making minor adjustments in your posture to help you get the most from each position. > A teacher can advise you on the best postures for your particular physical challenges, such as a stiff neck, lower back pain, or tennis elbow. > If you have a class to attend at a prescheduled time, you may be less likely to put off or skip your practice. And regular exercise is the most beneficial for anyone. > Other students learning yoga along with you can offer peer support and camaraderie, in addition to your teacher's encouragement. > A class and a qualified teacher in conjunction with personal practice and lots of books on the subject will teach you more about yoga than any one of these methods alone. When you look for a yoga class, you have several factors to consider: the teacher's method and approach, the size of the class, class schedules, and so on. Plan to spend some time exploring the possibilities before you find the teacher and the class that suit your particular needs. Yoga classes vary greatly in their format and approach, so if you do decide to take a class, you'll first want to do a bit of shopping. The right yoga class is highly personal—what you love, your friends may not benefit from at all, and vice versa. If you are used to a high-energy, aerobic workout, you may initially be impatient with yoga's slower pace, although it will serve as an excellent balance for your life. If you're generally inactive, you may benefit more from a yoga class where steady, flowing yoga movements get the heart pumping. You also might be confused about the wide array of yoga methods. The difference is largely due to who has most directly influenced the teacher or under which method the teacher was trained. Before signing up for a class, ask the teacher which school of yoga he or she practices, and then ask him or her to explain the basic philosophy of that particular school or method. is basically the same. Some health clubs offer excellent yoga classes, but you'll want to ask about the teacher's training. > The class is small enough that the teacher can give you individual attention. 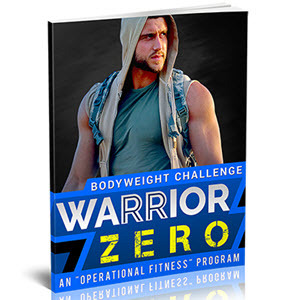 You'll want help adjusting postures and creating a routine suited to your ability so you won't get injured, frustrated, or bored silly. > The class is conveniently scheduled and easy to get to. Otherwise, you know what will happen. Eventually, going to class will be too much trouble and it won't last. If you don't like your first class, your first teacher, or the way you felt after your first yoga workout, don't give up. Some people overdo it their first time out and vow never to practice yoga again. If you can't relate to your teacher; if you pull a muscle; or if the class environment is high-pressure, competitive, or unpleasant in any way, you just haven't found the right class or the right teacher for you. Or maybe you weren't completely open to the experience—could your competitive nature have overshadowed the benefits you were receiving? Was the teacher encouraging a competitive attitude, or was the teacher inattentive to your needs? Maybe you couldn't understand what the teacher wanted you to do. (Teachers are human, too.) Many teachers are grounded in the noncompeti-tive philosophy, but some still see yoga simply as physical fitness, with all its competitive aspects. Many are excellent at doling out individual help and counsel, but others may have classes that are too large for a really personal approach. The most important thing you can do for your yoga practice is to find a teacher you feel comfortable with, so keep looking until you find him or her. And remember what you have learned so far: Yoga is about fitness for and knowledge of your whole self, not just your body. The bottom line? Be patient in your search. It may take a while to find the right class and the right teacher for you, but many yogis believe that when the student is ready, the right teacher will appear. Keep your mind and heart open. 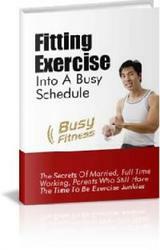 Fit exercise into your busy schedule? Thats as absurd as saying that there are eight days in a week! First, youve never exercised before or engaged regularly in a sport second, youve never been into the fitness crowd and have had meager time for such pursuits, and third, youre far too busy to even think of exercise.